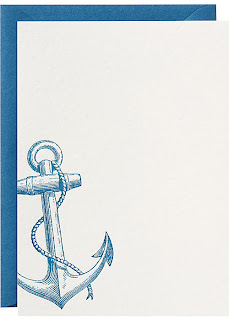 Nautical by Nature: Time to get nautical with your stationery and crafts! 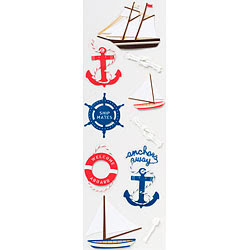 Time to get nautical with your stationery and crafts! I already have that punch. It is too cute. You need to get it! Was so jealous that I missed your little party. 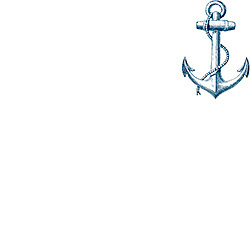 This Captain's girl would have made you laugh, I could have nautical overdosed you, and I even have the sailor dress, complete with sailing flag shoes! 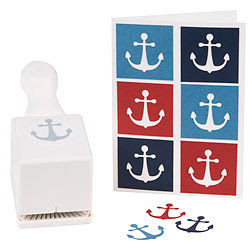 I love the anchor stamp here! You are going to have to be my go to authority when I plan that elusive wedding, on The Riverboat Natchez in New Orleans. Anchor notecards are super cute! where are the stickers from?